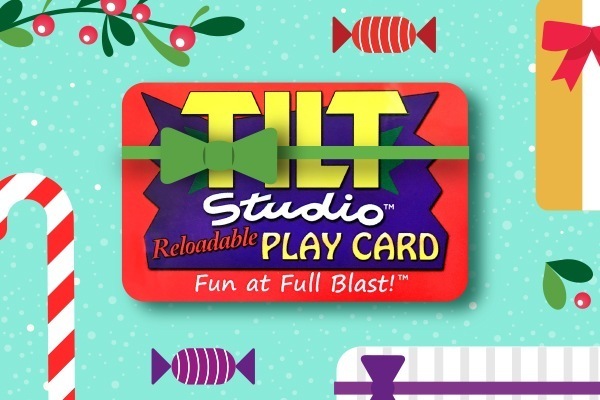 A Tilt Studio Gift Card makes the perfect gift for any age, type of celebration, or time of year! 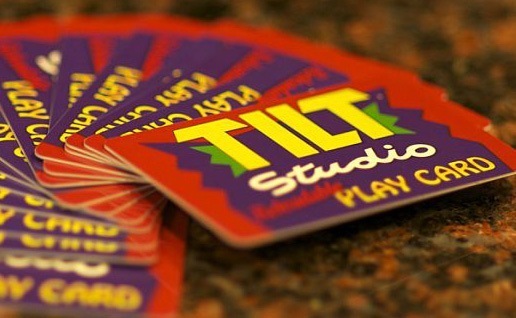 Choose a Tilt Studio Gift Card in any amount you choose for birthdays, anniversaries, holidays, graduations, and more! * Buy a $10 Gift Play Card, and we’ll load a $2.50 BONUS! * Buy a $20 Gift Play Card, and we’ll load a $5.00 BONUS! * Buy a $30 Gift Play Card, and we’ll load a $7.50 BONUS! * Buy a $40 Gift Play Card, and we’ll load a $10.00 BONUS! * Buy a $50 Gift Play Card, and we’ll load a $12.50 BONUS! * Buy a $100 Gift Play Card, and we’ll load a $25.00 BONUS! 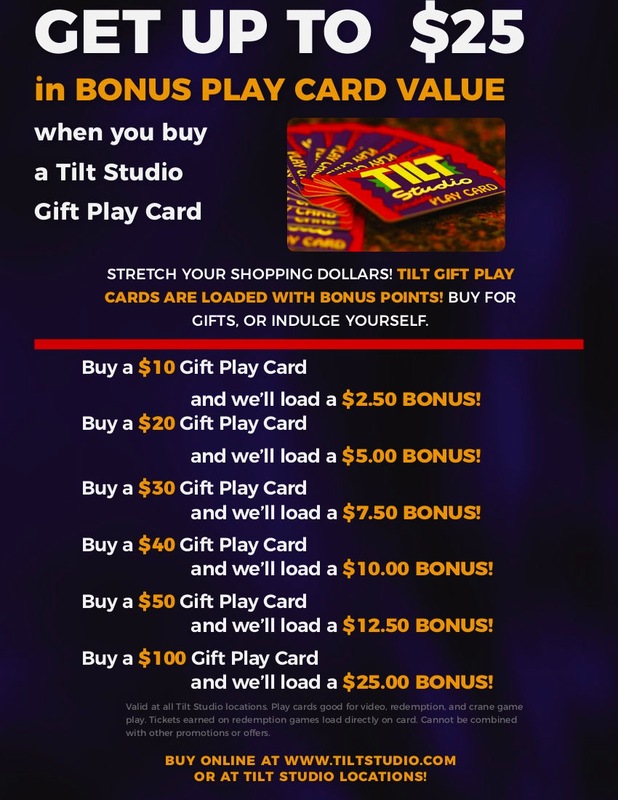 Gift Play Cards can be used at time of purchase. Valid at all Tilt Studio locations. Play cards are good for video, redemption, and crane game play. Tickets earned on redemption games load directly on card. Cannot be combined with other promotions or offers.